For the twelfth year in a row, CPT, Cleveland’s leading alternative theatre, and Y-Haven, YMCA’s transitional housing center for homeless men in recovery from drug and alcohol addiction, have collaborated to create this original performance. CPT Artists work with residents of Y-Haven to create an original play performed by the residents and based on their personal experiences. This year’s production is guided by CPT Executive Artistic Director Raymond Bobgan and Teaching Artists Adam Seeholzer, Darius Stubbs, and Lew Wallace. An audience favorite for the past 12 years, the CPT/Y-Haven Theatre Project offers candid insight into important issues of our society and gives real hope for growth and change. Audiences are continually blown away by the poignant and moving stories presented by the powerful collaboration of Cleveland Public Theatre’s Education Department and Y-Haven, a branch of the Greater Cleveland YMCA. About the play: Derek’s father used to be his hero – so were his two older brothers. Now he is learning that they have flaws, big flaws. Lies are uncovered, anger flares; and for Derek it’s just too much. He never wants to be like them, so he just runs. The family spirals into greater collapse as they file missing person reports, present at block clubs, and visit morgues in search of their lost family member. Their journey to find Derek will test their love and their will. Derek’s journey to find himself will test his judgment and loyalty. Can Derek – can anyone – choose their own destiny? Y-Haven Artists: George Boesger, Randall Broom, Adam Butauski, Greg Cerne, Howard Giddings, Michael Haluska, William Hughes, Michael Jackson, Greg Johnson, DeCarlos Manley, Michael Manley, Samuel Murphy, Dan Schaefer, Eugene Wagner. CPT Artists: Raymond Bobgan, Adam Seeholzer, Darius Stubbs, and Lew Wallace with costumes by Jenna Damberger. 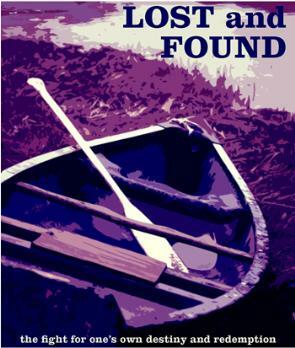 For more information on the Free Performances of Lost and Found at Cleveland Public Theatre or on the Free Tour Performances in the Community visit http://www.cptonline.org or call CPT Education Director Chris Seibert (216) 631-2727 x 201. Breen Center for the Performing Arts: Supported by Councilman Joe Cimperman. Pilgrim United Church of Christ: Supported by Councilman Joe Cimperman. This entry was posted in Art News, cleveland, ohio, shows, theatre and tagged art news, cleveland, Cleveland Public, CPT, ohio, theater, theatre. Bookmark the permalink.